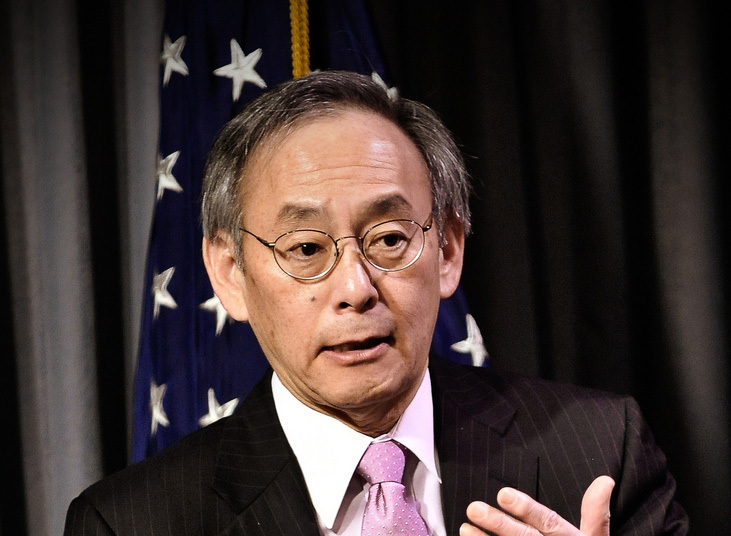 The USA’s Secretary of Energy, the Nobel Prizewinner Steven Chu, has decided to leave Washington and return to California. His thoughts about his past four years as Secretary of Energy were given in a letter to the employees of the Department of Energy (read the letter). Before we look a little more closely at that letter I would like to remind you that there were many of us who had great hopes when he was first appointed – at last a person with a scientific background would control the USA’s Department of Energy. Today there are many who are disappointed. There are those who think that the transition to renewable energy was a flop. They think that the money invested in that did not give the expected return, but there are certainly more who think that the investment was much too small. But in a political situation where a Democrat President has the will but the Republicans have the keys to the treasure chest maybe it could not be otherwise. In his letter to the DoE, Chu himself mentions the second point above and it can be summaried with the creation of the “Advanced Research Projects Agency-Energy”. ARPA-E was formed in 2009 with an initial budget of $400 million and its structure was revised in 2011. From Wikipedia we learn that ARPA-E’s aim is, “To bring a freshness, excitement, and sense of mission to energy research that will attract the U.S.’s best and brightest minds” On 25 and 27 January ARPA-E will have an “Energy Innovation Summit” in Washington and it is at this conference that Stephen Chu will draw the line under his career as Secretary of Energy. My good friend Hans Rosling is the opening speaker at the conference and sometimes he takes up Peak Oil in his speeches. We will see what he does this time. I will also be at the conference. For further comments on ARPA-E I refer you to Chu’s letter. – More than a dozen auto manufacturing plants built, reopened, or retooled – from Michigan to California to Tennessee – helping our auto industry compete and produce the next generation of American-made vehicles that will save consumers $1 billion a year on gasoline, including the first all-electric vehicle manufacturing plant in the world in Tennessee. – Wind farms, solar photovoltaic and concentrating solar power plants that will be among the largest in the world. Some of you will certainly be amazed to hear nuclear energy named but the fact is that Steven Chu supports new investment in nuclear energy in the USA. I will return to this point at a later date. “The overwhelming scientific consensus is that human activity has had a significant and likely dominant role in climate change. There is also increasingly compelling evidence that the weather changes we have witnessed during this thirty year time period are due to climate change. “Virtually all of the other OECD countries, and most developing countries including China, India, Mexico, and Brazil have accepted the judgment of climate scientists. “Many countries, but most notably China, realize that the development of clean energy technologies presents an incredible economic opportunity in an emerging world market. China now exceeds the U.S. in internal deployment of clean energy and in government investments to further develop the technologies. I can make the following comment on the third point from the Reuters article, ”US Energy Secretary Chu is latest Obama Cabinet departure”, “Physicist not well schooled in Washington rough and tumble”. During 40 years I have been a researcher but for 9 years in Trosa I was also a very active as local politician. As I began working on Peak Oil I realized that my political experience was very important and without that I would never have succeeded in advancing the Peak Oil issue. To present Peak Oil and discuss its consequences with politicians at the IPU’s conference in Quebec last year was a high point as I spoke to politicians. If Steven Chu had had more political experience he would probably have advanced his ambitions further. I am convinced that the USA’s next Secretary of Energy will have political experience and I hope that he/she will also have a background in science. If you like to discuss this article and related articles you can go to Aleklett’s Energy Mix. Steven Chu mentions China´s “huge” investments in renew. energies without comparing with investments in fossil energy – perhaps shrinking figure as quote renew/fossil? USA exports its coal to EU to compensate for stopped nuclear and gas from Norway/Russia. Obama went the Spanish way with huge losses for the government budget.